Today, I have Natalie D. Richards, author of the just-released Gone Too Far, for a quick guest post. 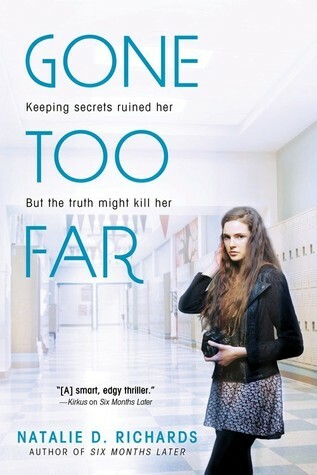 Gone Too Far is one of my most anticipated reads of 2015 (come on - don't tell me that the blurb doesn't pique your interest even just a tiny bit! ), and I'm so excited that I have the chance to host Natalie on the blog and help her spread the word about her book! 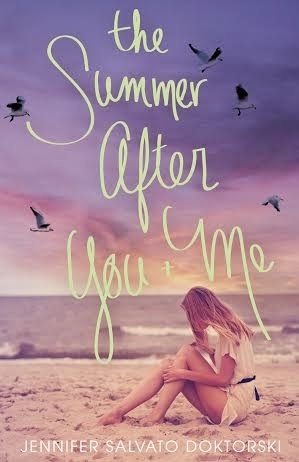 Drowning in secrets she doesn't want to keep, Piper's fears are confirmed when she receives an anonymous text message daring her to make things right. All she needs to do is choose a name, the name of someone who deserves to be punished.. Okay, I’m going to be honest, this was the hardest interview I’ve ever had and it was So. Much. Fun. I thought about copping out and going with a bunch of super popular apps, but then I decided I wanted to really think about the stuff she’d love. So, without further ado, here are the apps that I think would get the most play on Piper’s phone. Piper’s a photographer, so I strongly suspect her primary social media outlet is Instagram, because she often sees the world through a lens. Sharing her world through a lens just makes sense to me. This game is soooooo relaxing. You make pottery pieces and sell pottery pieces and buy new designs to put on your pottery pieces. Sound boring? Well, explain Minecraft! ;-) Really, though, it’s super fun and addictive. It’s a different take on an “art” game and a super easy, mindless way to pass time when you’re waiting in line or bored out of your skull. I definitely see her playing this one. Sound boring? Well, if you’re a photographer who wants a better app for your iPhone camera, it isn’t. Piper’s pretty persnickety about her photography gear, so I doubt she’d be happy with the stock camera options on her phone. This isn’t her trusty Nikon, but it’s a step up. Piper’s pretty desperate to move into her future as a photojournalist who documents humanitarian crises around the world. This is an app that provides a comprehensive list of this information. Piper isn’t able to take her camera overseas just yet, but she wants to be informed and aware of what’s happening in the world. Piper tends to avoid all things mainstream, which definitely causes a bit of friction with Nick. It would also steer her toward apps like PledgeMusic where she can discover, follow, and champion new indie musicians. This app is a really cool way to break down those barriers between fans and musicians and I bet Piper and Manny both love it! Thanks so much for having me! I really enjoyed this interview and appreciate you featuring Gone Too Far! YAY!